How to update Cherry Flare S Play? To update the Cherry Flare S Play you need to install an alternate firmware (ROM). If the device does not automatically update by itselves. You can use the new firmware for your smartphone. 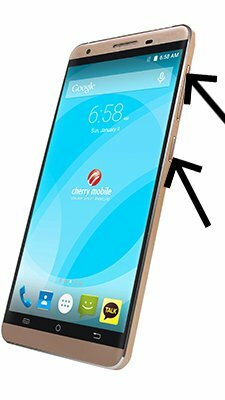 Does CHERRY FLARE S PLAY support USB OTG? Before i plug my USB otg it doesn’t read. After i updated the OTA and plug again..ayaw magbasa… i think hindi to supported. Any suggestions po thank u po..
Hi! Cherry Flare S Play have hardware support USB OTG, but it can be blocked at cernel. Hi! There is no Android Marshmallow update fro Cherry Flare S Play. Because the manufacturer Cherry Flare S Play does not consider that the need to release an update to Android 6 Marshmallow. Hello nung pag update ko ng cm S play ko.. humina yung sound how to fix naman yun? or need lang i downgrade?? Hi! All updates for Cherry Mobile Flare S Play is here. To enable OTG in Cherry Flare S Play need custom kernel, but there is no custom kernel for your phone. Please how to update marsmallow my Flare S Play? Hi! There is no Android Marshmallow update for Cherry Flare S Play for now. Hi! 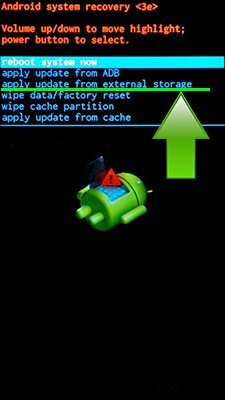 You can factory reset your phone by this instruction http://en.androidmir.org/ann/2572/. If it not help – flash official firmware. Hi! What the full device model? What Android version installed now? Hello po pano po mag upgrade to marshmallow? Cherry mobile flare s play po akin lollipop lang kasi kaya di ako makalaro ng pubg safe po sana. Kakayanin po ba ng phone ko na flare s play Ku g i-update to nougat? Hi! Unfortunately there is no updates after Android 5 Lollipop for Cherry Flare S Play. Hi! You can try to connect USB drive in the FAT32 file system with OTG adapter, if it will not work – your device is not support USB OTG. Hi! Unfortunately no, there is no updates for Cherry Flare S Play. Most likely Cherry Flare S Play will not get no more Android updates. Hi! Probably no, PUBG Mobile requires powerful CPU for work. Meron po kayang nabibili na cp na under 3k na kaya ang pubg mobile? Yung kahit 2gb ram. Btw, thanks sa info. Di po ba talaga kaya ng pubg mobile sa 1.4GHz Octa Core na cpu? Yun lang kasi kaya ng budget hehe. In your phone used Mali 450-MP4 GPU, that no compatible with OpenGL 3.0. Pubg Mobile required OpenGL 3.0 for normal gaming. bakit po ayaw magopen na ng wifi at bluetooth ng cherry s play ko…..? Nasaan po ung link? U g 5.1 po ba? Flash official firmware for your device.